The HP ZR30W was one of the very first 30-inch monitors to feature over one billion colors, precisely 1.07 billion 30-bit per pixel colors. The monitor delivers a vibrant and immersive picture quality with its 10-bit IPS panel and maximum brightness of 370 nits. Additionally, it offers a sleek and modern looking design with versatile ergonomics, extra USB ports, and a Dual-Link DVI port. The HP ZR30W features a nowadays less-popular 16:10 aspect ratio with the 2560×1600 resolution which provides you with extra vertical workspace on the screen. At a 30-inch screen, this resolution delivers a crisp and sharp image with vivid details and high pixel density. Moreover, the 10-bit IPS panel ensures the impeccable 178-degree viewing angles which allow you to enjoy the viewing experience without the shifting of colors when looked at different angles. The image quality is vibrant with accurate and consistent colors that cover 99% of the Adobe RGB (1998) color space. This color gamut is wider than the usual sRGB color space and thus provides the professional designers and photographers with the adequate tools and precision for their color-critical work. 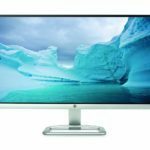 In combination with the crisp resolution, high brightness levels, and the 10-bit panel color accuracy, the HP ZR30W makes for a remarkable yet affordable high-end photo editing and designing monitor. At 60Hz and 7ms response time, the HP ZR30W won’t appeal to many gamers. However, the HP ZR30W performs with a surprisingly low input lag and the ghosting of the fast moving objects in video games was minimal. Professional and competitive FPS gamers would be too bothered with the amount of ghosting in their high-end gaming sessions, but as far as average and casual gamers are concerned, the HP ZR30W will do just fine. Ideally, this is the monitor for those who need accurate colors for their work, but also like to casually play a few games every now and then. One of the most interesting aspects of the HP ZR30W is that it has no OSD. Instead, it has four buttons at the bottom bezel which can be used to change the input source between the DVI and DisplayPort, adjust brightness, and power on/off the monitor. Additionally, while holding the + and – buttons, you can enable the dynamic contrast ratio of 3,000:1. That’s all the configuration that you have access to. The blue LED power light will be your guidance through the several adjustments that you can do. While adjusting the brightness level, the blue light will blink three times to indicate that you’ve reached either maximum or minimum level of brightness. It will blink four times when you enable the dynamic contrast ratio, and once when you disable it. When the light shines in an amber color, it means that the monitor is in the standby mode. The exclusion of the OSD won’t seem so bad once you realize that you don’t actually need it. Since the picture quality is perfect, the brightness adjustment option and input source selection are all the features you may need to use, anyway. Along with the monitor, you will also receive a CD with color calibration in the ‘.icm’ profile which is used by various color management systems and software. The HP ZR30W offers a wide range of ergonomic functionalities including tilt by -5, 35 degrees, swivel to the left and right by 45 degrees, and height adjustment by 4 inches. The monitor cannot be pivoted unless mounted on a mounting arm which is made easy as it’s VESA compatible with 100 x 100mm pattern. 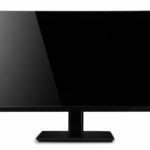 The screen of the monitor is coated with a matte finish which eliminates the sunlight reflection. Overall, the HP ZR30W looks sophisticated and elegant with a simple black design except for the aluminum strip which goes around the frame. 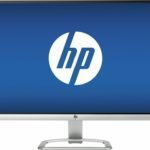 The HP ZR30W features a Display Port and a DVI-D port with the Dual Link support which allows for an additional device to be simultaneously displayed on the screen. There are also four USB2.0 ports, two are placed at the back of the monitor and the other two at the left side. The additional upstream USB port needs to be connected to the PC for the other four to work, naturally. Unlike most monitors, the HP ZR30W has a power switch. As there are no HDMI ports, you will have to purchase it separately if you need one, but be sure to pick up at least version 1.3 since it supports the 2560×1600 resolution. 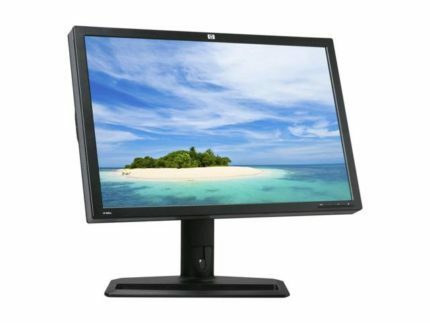 Several years ago, the HP ZR30W was one of the first 30-inch monitors with 1.07 billion colors and was priced at around $1300. Nowadays (March 2017), you can get a used one with warranty for around $400-$500 depending on the availability. At that price point, it offers the same image quality and performance as a lot more expensive monitors and is definitely worth the money if you can find such a deal. Once a highly prestigious monitor, the HP ZR30W, still maintains its popularity due to the outstanding performance and image quality. With the 10-bit IPS panel and 99% Adobe RGB color gamut, it provides the professional designers and alike with the color accuracy and consistency they need for their work. Moreover, the 16:10 aspect ratio provides extra vertical space for the worksheets and multitasking while video games and movies look astonishing with rich details. If in a proper condition and at the right price, this monitor can save you a lot of money while giving you premium performance and image quality in return. 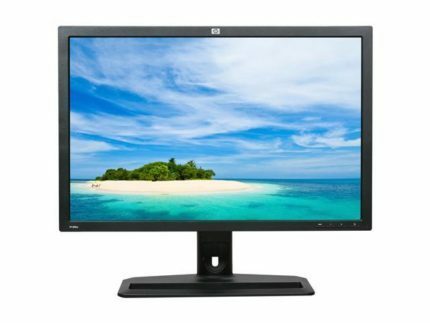 The HP ZR30W offers a crisp 2560×1600 resolution with vibrant and immersive image quality. The 10-bit IPS panel provides 1.07 billion colors which cover 99% of the Adobe RGB color gamut at a stellar 370 nits brightness. Besides being an enticing choice for designers, it also performs well in video games.